Since launching The Boring Company a year ago, Elon Musk has mentioned several possible construction sites for the tunnel-drilling business, and thrown out a vague reference to a “verbal” government approval for a Hyperloop tunnel connecting New York City and Washington, DC. But now we know at least one mayor wants Musk to drill a hole under their city. The Boring Company would not provide any additional comment to Gizmodo at this time. Emanuel and Musk have been discussing a collaboration since at least June, when the mayor sent aides to Los Angeles to meet with the tech billionaire who also runs SpaceX and Tesla. Chicago is accepting proposals for express trains, either above or below ground, that can depart every 15 minutes and get commuters to the airport in “20 minutes or less,” for a rate that’s cheaper than taxi fare or a ride-hailing service. Rivkin told the Sun Times that the trip costs about $60 in a cab and $40 in an Uber. Whoever wins the bid will be responsible for financing the project. The express train operation “will be funded solely by project-specific revenues (like fares or advertising),” and not taxpayer money, according to a statement from the mayor’s office issued yesterday. 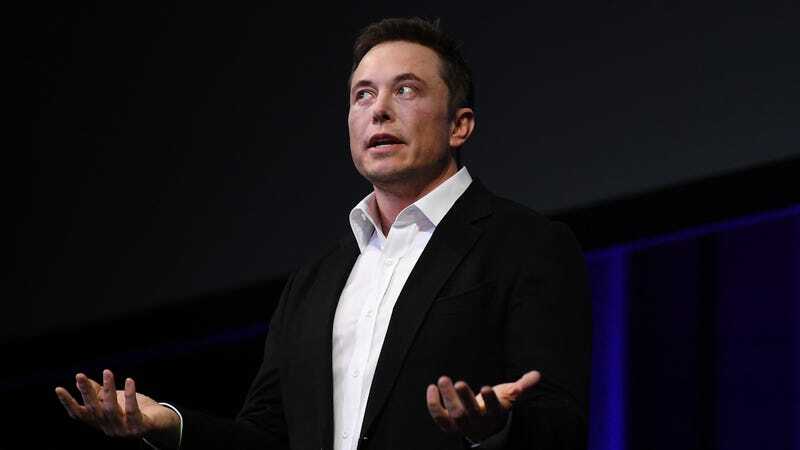 Last Month, Musk got permission to start digging a tunnel in Maryland and showed off the tunnel his company is drilling under Los Angeles. While LA mayor Eric Garcetti is open to Musk’s plans, Chicago’s seems to be the first major city openly interested in Musk’s tunnel vision.